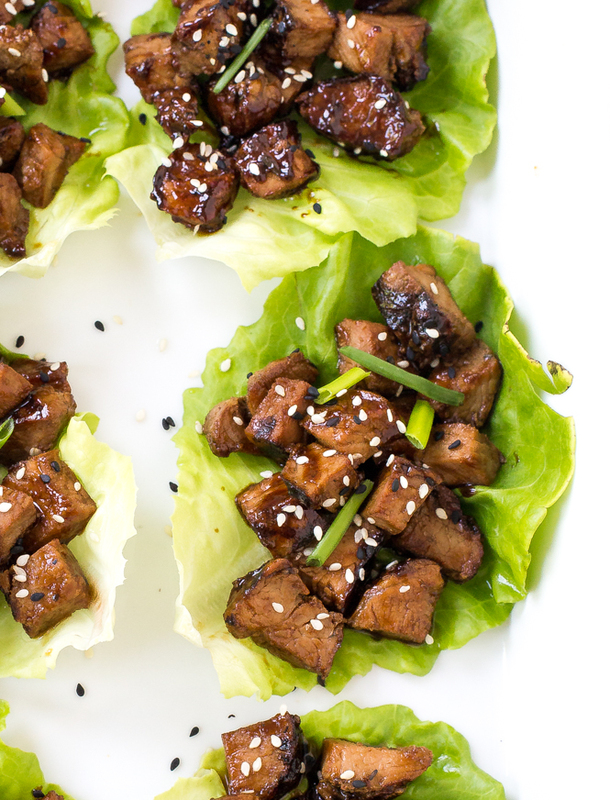 Easy 30 Minute Asian Pork Lettuce Wraps! 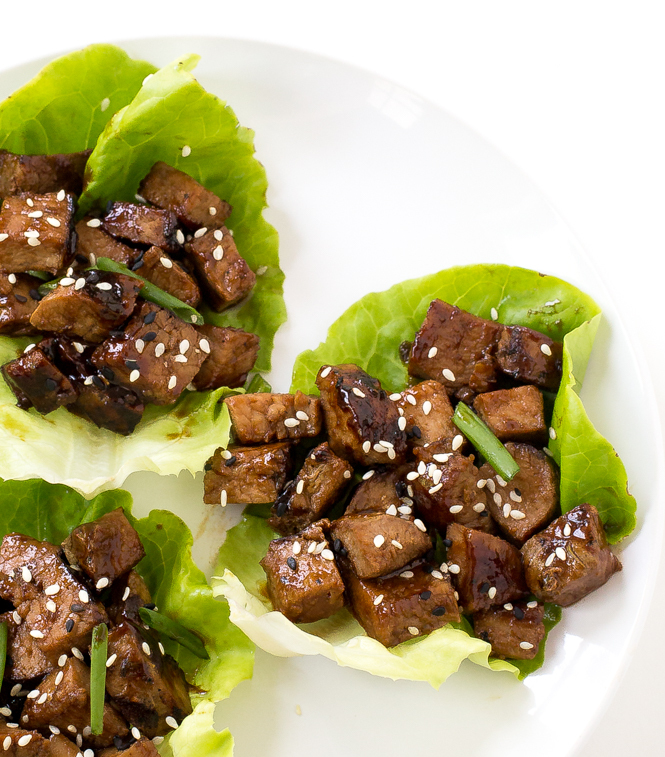 Grilled pork tossed with an amazing Asian sauce. Perfect as an appetizer or for dinner! Thank you Smithfield® Marinated Pork for sponsoring this post. All opinions and text are my own. 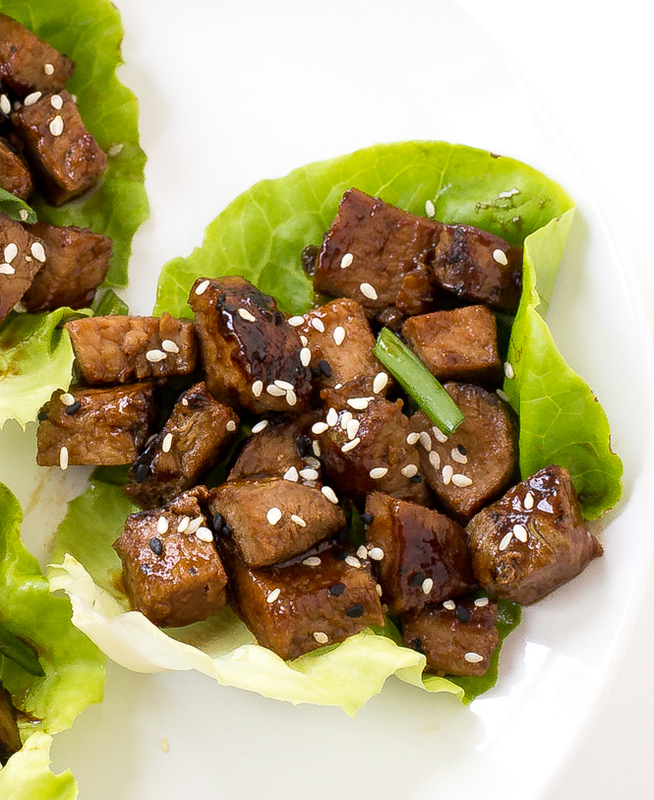 These Asian Pork Lettuce Wraps couldn’t be easier. 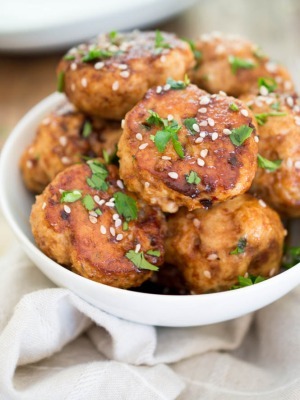 They are the perfect meal for a busy weeknight and can be made in under 30 minutes! I used Smithfield® Marinated Garlic & Herb Pork Tenderloin for this recipe. They are 100% fresh pork cuts, slow-marinated and perfectly seasoned. After the pork is grilled I toss it in the Asian inspired sauce. The sauce is made up of 3 simple pantry staples: soy sauce, hoisin sauce and oyster sauce. I like to double the sauce if I am serving it with a side of sticky rice. 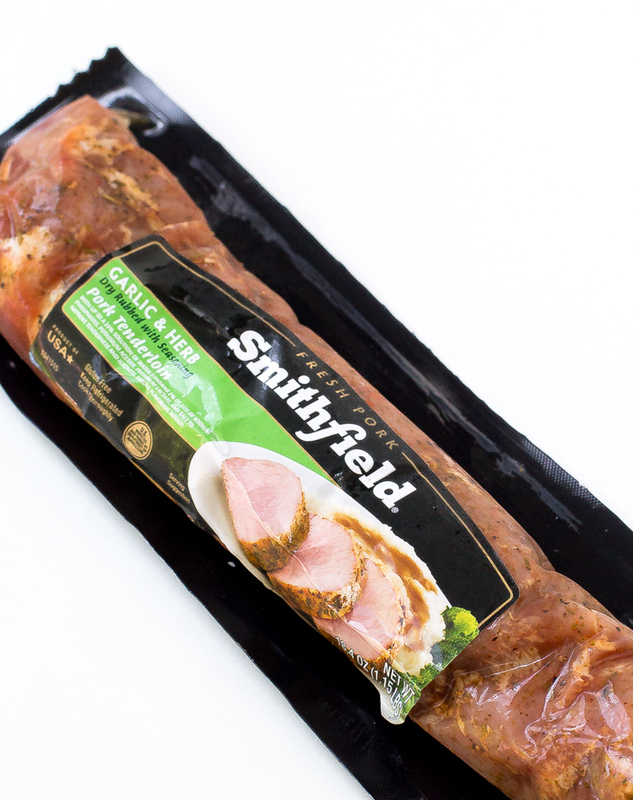 Look for Smithfield Marinated Pork at your local Food Lion store. Enjoy! Heat grill to medium heat. Spray with nonstick cooking spray. Add pork and cook for 20-25 minutes or until fully cooked. Allow the pork to rest on a cutting board for 5 minutes before slicing. While the pork is cooking make the sauce. 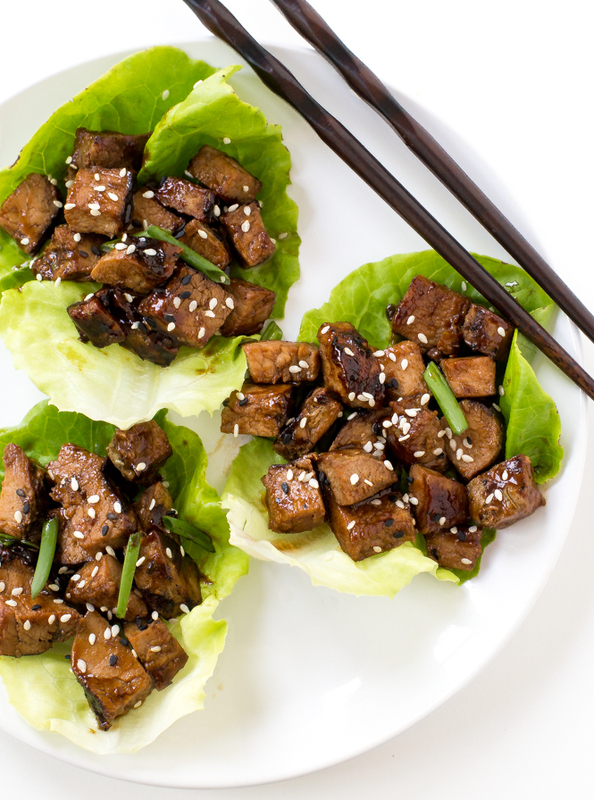 Add hoisin sauce, soy sauce and oyster sauce to a large skillet or pan. Cook over low heat until heated through. Cube the cooked pork into bite sized pieces. Toss the cubed pork into the sauce. 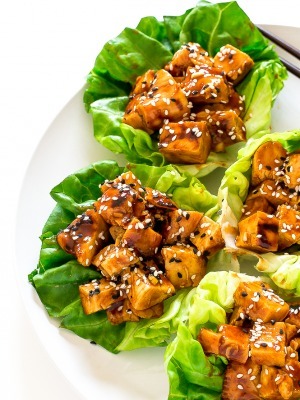 Serve immediately over bib lettuce with green onions and sesame seeds, if desired. Sponsored post written by me on behalf of Smithfield® Marinated Pork. The opinions and text are all mine. Thank you for this recipe! Love that it’s mostly store cupboard, and easy ingredients. 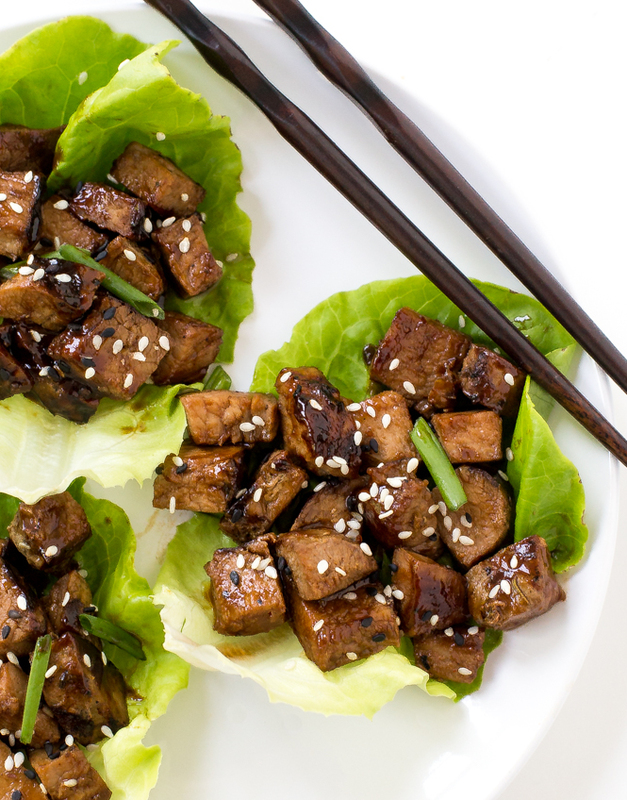 We often use lettuce wraps. I have little kids, so we use Cos lettuce, as it’s long thin shape is perfect for little hands and mouths! Can’t wait to try the Asian Pork!